In 2015, I was diagnosed with Stage 1 Breast Cancer and underwent a unilateral simple mastectomy, while also enduring a total of four revision surgeries. Among the many challenges I faced, the majority of my fears focused on the uncertainty of my future and my family’s future. But through it all, I was fortunate to have an awesome and comforting God, the unconditional support of my family and friends, and a job that truly allowed me to see what exceptional care was all about. My family was always strong and consistent, providing me with the love and support I needed most. While I may have sat and worried, they never doubted me. My husband, David, was my rock and strength through the entire process. He never left my side and continued to encourage me to keep my head up and to keep fighting. My three daughters gave me a reason to fight and I looked forward to the future we would have after beating this cancer. I was lucky to have my mom by my side, who was the best friend, mom and supporter through every step of the way. I was also lucky to have others rally around me and lift my spirits through their shared acts of kindness. My church family provided us with meals and assistance with my children. My friends took time out of their schedules to check on me and make sure every day was brighter and better than the day before. Even during my “down moments,” they were there to make me laugh and smile. I am blessed to say that I work for an incredible hospital that provided me with the absolute best care through my cancer journey. 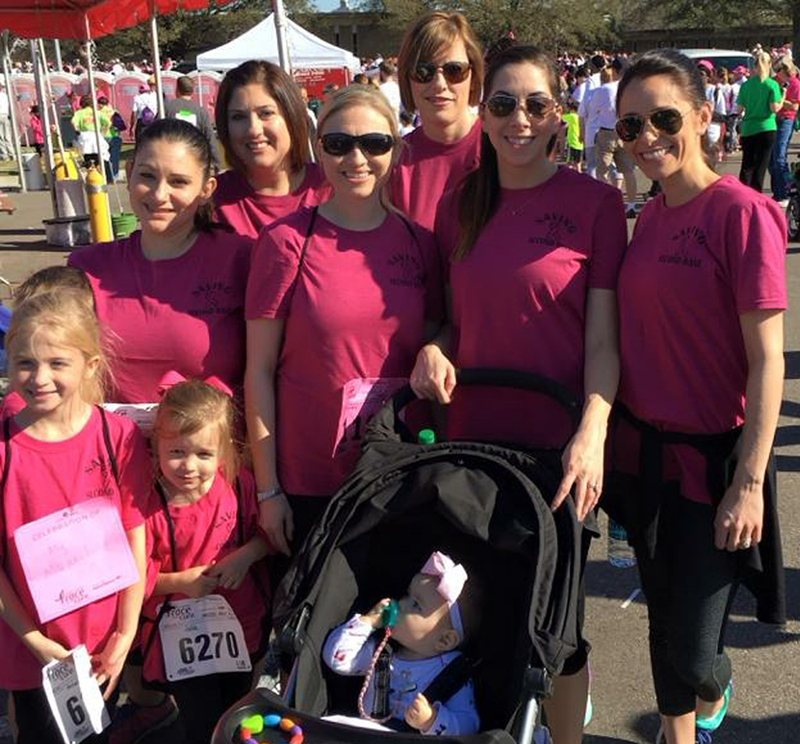 Having been an employee at Woman’s since 2004, it was easy to decide to have my care there; however, I was completely awestruck by the outpouring of love and support I received. My entire work family encouraged me to stay strong and keep moving forward, with each one of my coworkers reaching out and offering any assistance that was needed. They truly showed me what it meant to have compassion, and I will forever be grateful for their gracious hearts. My medical team and doctors helped me make the right choices for me and my care. They helped calm my fears and see me through even the most difficult of times. The extraordinary care I received has greatly impacted my past, present and future. Much more than my cancer was treated; I received the best mental, spiritual and physical care possible. My sisterhood consisted of many different people, who each played a pivotal role in my journey. Each person brought something different and unique and each person was needed to help keep me going. There are no words to express my gratitude for those that supported me, but I am eternally grateful. 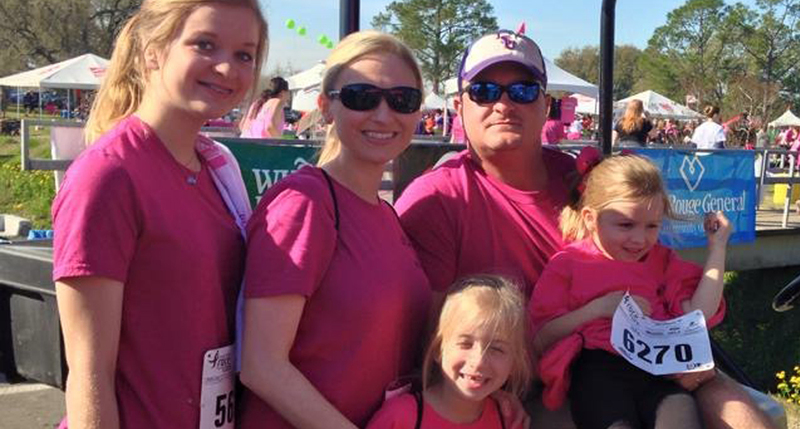 I’m Laurie, I’m a wife, a mother, a nurse, a breast cancer survivor, and I am the sisterhood.